"RST has already been working closely with the Isle Man TT team as the safety partner for the 2013 and 2014 Classic TT Races. 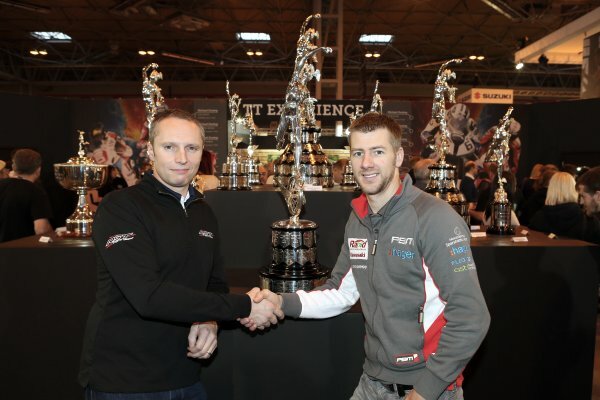 We are tremendously excited to take this relationship to the next level now being safety partner for both the TT and the Classic TT." "As RST goes from strength to strength, being the UK’s number 1 motorcycle clothing brand, and with huge growth around the world, the Isle Of Man TT is the perfect showcase to raise the brands profile on a global scale. This is an important milestone for RST and we are extremely proud to be associated with such a prestigious and historic event. We look forward to a long and fruitful partnership with the TT." "RST is a premium brand and we are delighted to welcome them into our portfolio of commercial partners. Their support will enable us to grow and develop the TT Races worldwide and is a reflection of the continuing growth and interest in the TT Races." from the 30th May to 12th June 2015.